We have a Delonghi Coffee Machine. 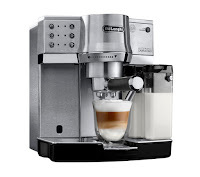 Why Delonghi you might ask, well Delonghi represents all that is good in this world. Drinking proper coffee, that is. It makes sure that whenever you have a craving for a quick caffeine fix, it delivers as you would expect from a Barista, but without the cost. 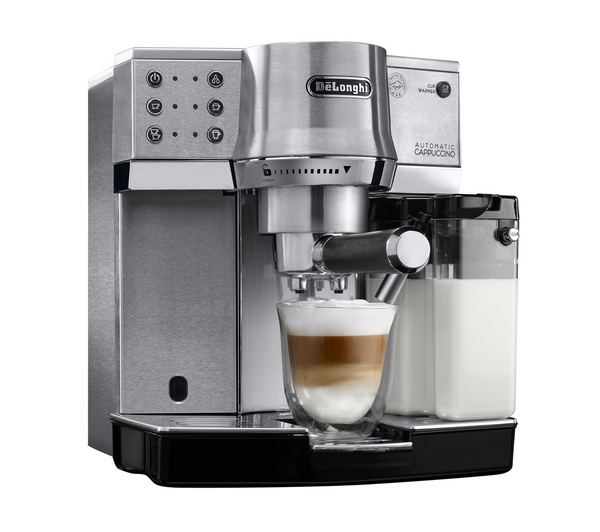 It comes with an auto cappuccino function, simply position your cup under the nozzle, press a button and you'll be served the perfect cappuccino with no fuss. So if you fancy a Latte, Flat white or an Americano, pop around and enjoy, conversation is not important but does tend to happen. Your Wine Guide by Tamacgor S Bald, notable wine expert, explorer and cross dresser. Did you know he fashions all Russell Smith's clothes, they are so close. Next time the waiter asks if you would prefer the Chardonnay or Sauvignon Blanc, you can decided with confidence. One of the highest-quality and most popular grapes in the world, Chardonnay's flavour depends on whether it has spent time in oak barrels or not. Unoaked Chardonnay tastes fresh and of green apples. Oaked Chardonnays taste nutty, waxy and a bit smoky. Recommendation: I recommend unoaked or lightly oaked Chardonnays with chicken because it's a really good match. If you prefer the richer Chardonnays, it just about goes with anything that is stronger in flavour, cheddar or smoked mackerel a must. Little known fact: People often claim they hate Chardonnay but love Chablis (Chablis, crisp and dry with green apple and blanched nuts aromas). But Chablis is completely made from Chardonnay. Now you know. It's one of those grapes that has very unique flavour. In cooler spots in France it tastes of freshly-cut grass and lemons. In warmer climates (like New Zealand) it tastes exotic, tropical fruit like mango and passion fruit. Recommendation: Fish and chips, anything with goat's cheese, stir fry or white fish with mild sauce. Little known fact: Production of Sauvignon Blanc in Australia has increased more than 40 fold in the last 25 years. Next week we delve into the rich tales and tastes of the Riesling and Viognier. We went to visit Michael in Bristol yesterday, Bristol is just over 2 hours drive with Susan at the wheel, driving the Panda with flair and gay abandonment. That Ferrari engineered Panda is so at home on England's narrow country roads. The countryside is pleasant this time of the year with the autumnal shades and rich green pastures. Bristol is rather a grey, neglected city with most houses needing attention, almost a city that has forgotten to do any maintenance, even gardening and the odd layer of paint would not go amiss. In saying that, it is predominately a university town and the area we drove through is mostly student letting, but none the less, have the owners of the house no pride or is it all about making a quick buck with as little cost involved as possible? Michael's house was one of the better kept in the area. Enough moaning, Michael did take us to a rather good coffee shop just off White Heart Lane, Rubicon 2. Quite a walk, the suggested 5 minutes walk taking more like 20 but worth the effort. The food and coffee good. Reasonable priced with generous portions and full of flavour. Relaxing atmosphere and excellent WiFi signal, making for an enjoyable experience. Good choice Michael. Well with Christmas a mere month away I had better start my Christmas list for Santa, it does tend to be quite long. Great blog dad! It was a 10 minute walk at most! The cold air made it feel longer! I think it's the moaning that is the main problem...been in the UK too long.